Today is Palm Sunday. Traditionally this is the day that Jesus made His Triumphant entry into Jerusalem – riding on a donkey. What a contrast. His followers knew He was coming to Jerusalem. But to see their KING riding on a donkey? I can only imagine how confused the throngs of people were. Yet they still met Him with a joyous heart. Take a moment to read the account from Matthew 21:1-11, Mark 11:1-11, Luke 19:28-44, or John 12:12-16. One criminal continued the mocking begun by the guards. The other knew in his heart who this man was. He recognized that this man, Jesus, was indeed the Son of God. And notice the response of Jesus: “Today you will be with me in paradise.” What a triumphant statement of assurance. Friday’s post displayed two photos. 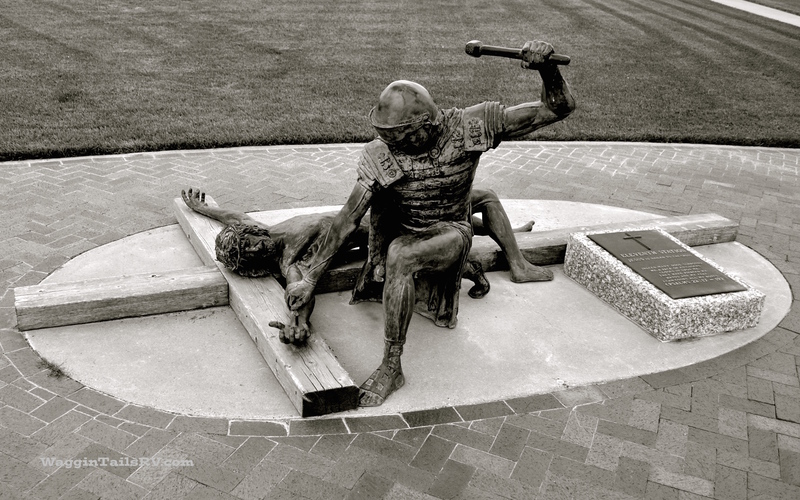 The first is a photo of Jesus of Nazareth being nailed to an old wooden cross by a Roman soldier. The second is a photo of the broken body of Jesus being held Mary’s arms prior to His burial in a tomb belonging to Joseph of Aramithea. I purposely omitted a photo of Jesus on that cross. Jesus on the cross is such a contrast to what His followers expected. They did not understand what had just happened. Other than Mary and the Disciple John, all the others had scattered. They had just lost their Leader. They had no idea what was about to happen, even though He told them over and over. As Jesus hung on that cross, He uttered seven crucial statements that demonstrates His character. As the Roman soldiers at the foot of the cross wagered over the garments Jesus had worn, Jesus uttered these words. Was He speaking about these soldiers? Was He speaking about His tormentors? Perhaps He was speaking about the world that did not understand him. 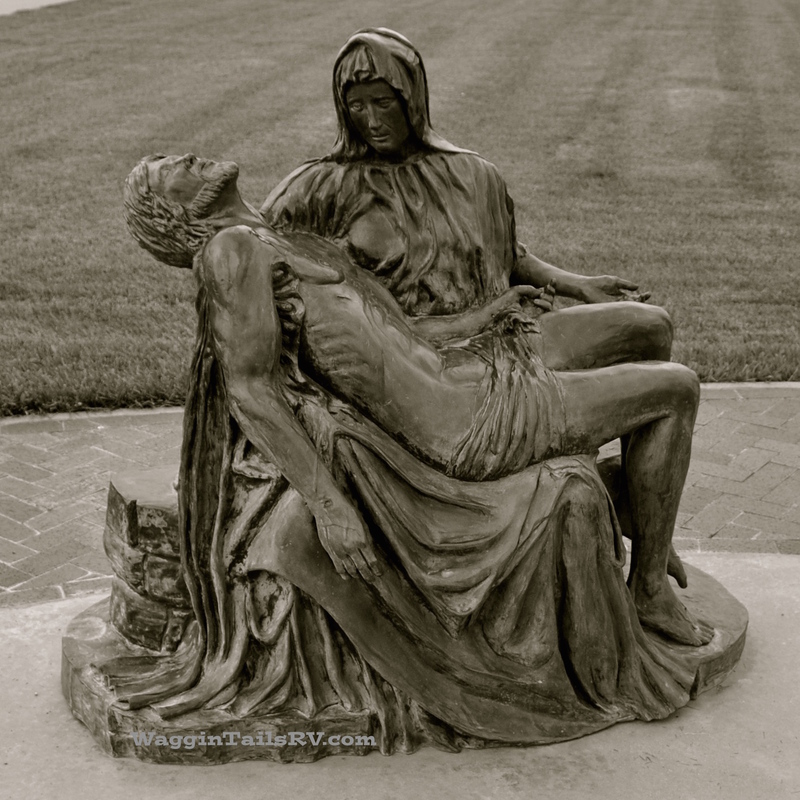 Jesus’ ministry was about forgiveness. The Apostle Luke wrote in Luke 5:21 – “The Jewish teachers of the law and the Pharisees thought to themselves, ‘Who is this man who is speaking as if he were God? Only God can forgive sins. '” The Jewish teachers did not understand that Jesus was the Son of God and was doing the work of God. The Apostle Paul wrote in Romans 3:25, “We receive forgiveness through faith in the blood of Jesus’ death.” Do you know the forgiveness Jesus speaks of? What an exciting finish for Photography101. And a hardy Thank You for the Happiness Engineers at WordPress for moderating this and other wonderful courses. It was a dark Friday, so many years ago. The Roman Government had just arrested Jesus of Nazareth. They considered him a radical and a threat to their control over the people, especial those impacted by the teachings of Jesus. 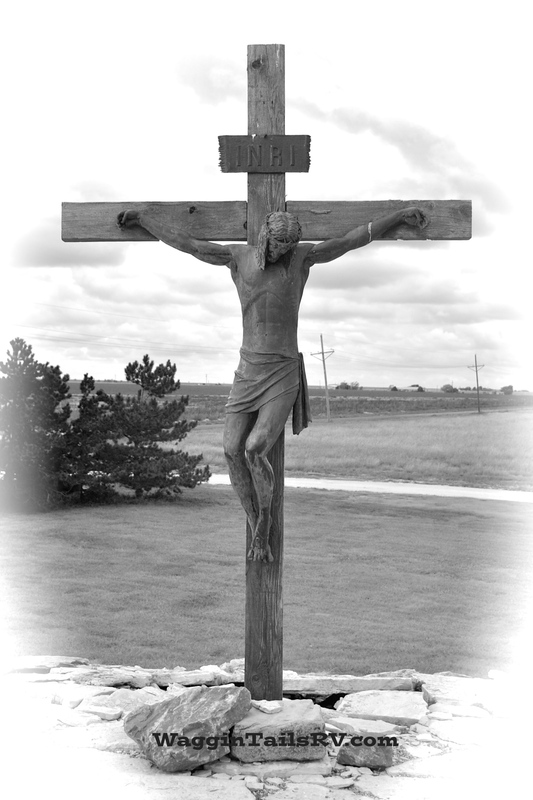 On that dark day, Jesus was mocked, scourged and nailed to an old rugged cross. He was about to be crucified – a sentence reserved for criminals who commented heinous crimes. For several hours, Jesus hung on that cross, writhing in pain. Shortly before sundown, he gave up his spirit and breathe his last. Jesus was buried in a borrowed tomb. The Romans got rid of the problem; they were triumphant or so they thought. Most folks know that everything is BIG in Texas. For our assignment today, I decided to show you some local attractions that a Texan’s point of view of BIG. 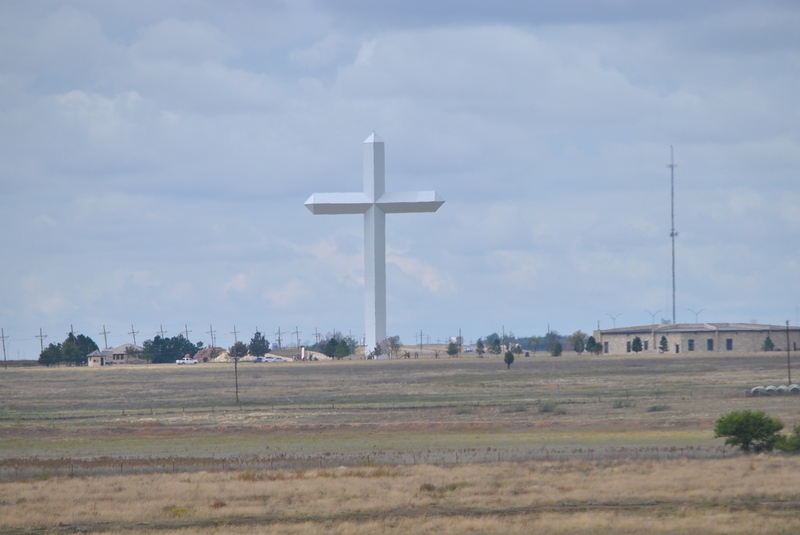 Cross of Groom, about 45 miles east of Amarillo, TX, is a 190-foot (58 m) tall free-standing cross. Drivers on Interstate 40 can see this big structure from 20 miles (32km) in either direction. 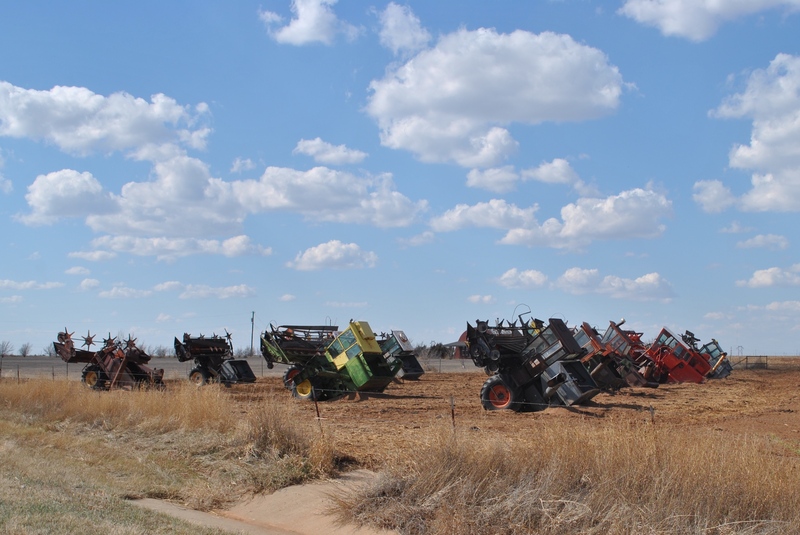 Not to be out done by the Cadillac Ranch, where 10 Cadillacs are planted nose-first in the ground west of Amarillo, or the Slug Bug Farm, where 5 Volkswagen Beetles are planted nose-first in the ground east of Amarillo, this farmer went BIG and planted 14 combine harvesters nose-first in the ground to create Combine City. Did you notice the bright blue sky in these photos? 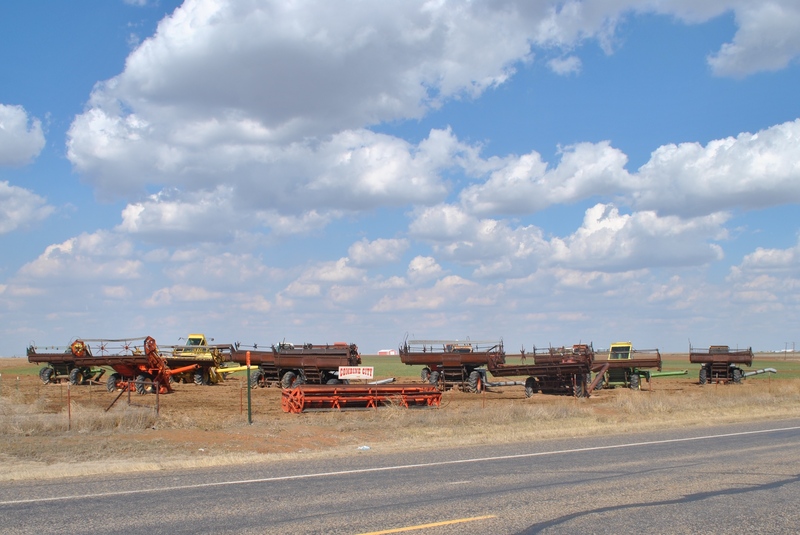 That is what we Texans like to call BIG Sky. I know Montana also claims the BIG Sky moniker. BIG Sky refers to wide open sky.